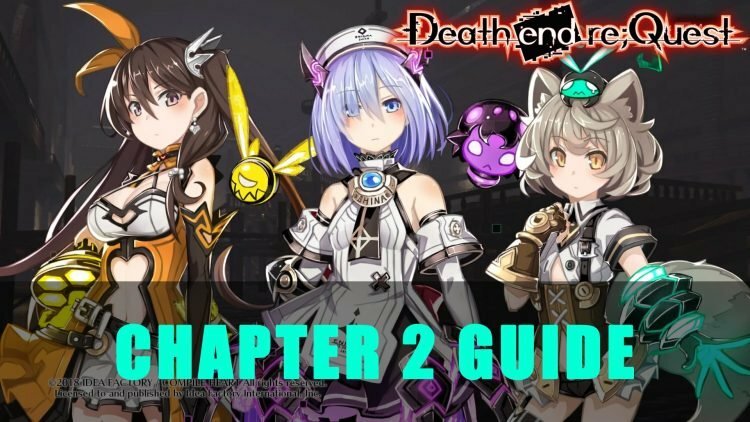 In this Death End Re;Quest Chapter 2 Guide, I’ll be going over the path to clear the second area of the game and it’s boss. Death End Re;Quest is a unique RPG game that merges the typical JRPG and allows players to convert it into a fighting game, shooter, or even a slot game. There are other subtle quirks that the game possesses that will be simple to execute but difficult to master. Chapter 2 of Death End Re;Quest takes players back to the Northen Heartis Wilds, continuing onward to the The Royal Shipyard of Sturfil. There will be some side-quests to complete and access to some new shop wares. 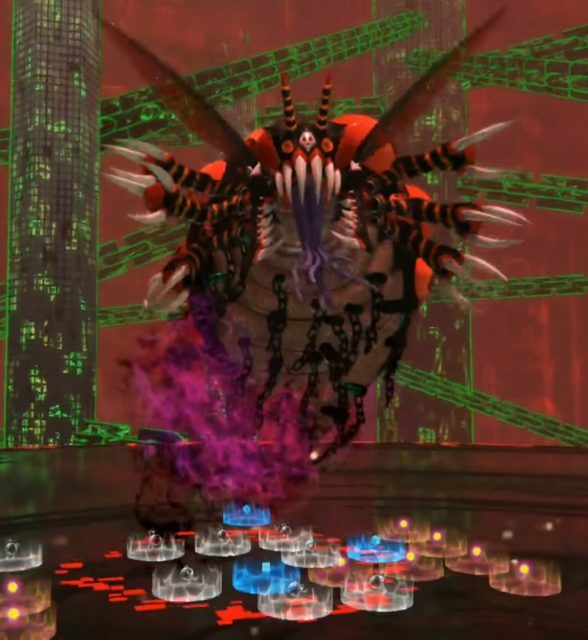 Finally players will face the powerful Muga, the boss for this chapter. Players will start the chapter in the Northern Heartis Wild desert area. Head towards the tent to heal up your party. Then head North to obtain the Beast Clan Scarf if players missed this in the tutorial area and chapter 1. Move South to obtain the 1 Enolef’s Ether in the chest before continuing heading South to reach the next desert area. Continue on the lone path to find another tent on the right-hand side and a chest continuing toward the same direction, and further South will contain 3 Patch 3.0. Exit the map with the Next symbol to reach the shipyard. Obtain the single Patch 2.0 located in the nearby chest, continue through the left door to enter the next area. The right room can be opened by using Lily’s special power, Melissa Poison, and contains 1 Guard Bracelet Level 1. The room on the left contains a tent, enter the tent’s room to find the Crane Key in the left corner. The Pathway key will be found in the second room which is left of the main hallway. Head across the way, where it appears you advance the story however players will find they will be pushed back. It’s time to enter the real world and use Arata to advance the story. After returning to World Odyssey, there will be a dark red room if players are brave enough they can tackle it if they are curious…Instead the intended path is the hallway that was blocked before we headed to the real world. Follow that path until players reach the ! to trigger a cutscene and obtain the Newpaper Article. Take control of Arata once more to initiate a conversation with Sumika Tokiwa. Once all the conversations are done, take control of Shina. Exit the room, make a right to head to the next area. Activate the Crane to open a new path to the right. Move towards the right to find 1 Spiderweb in the chest. Turn around, climb the inclined plank, and get on the ship. Head towards the center Next symbol to find 1 High-Elf Tonic in a chest. Go back on the ship to arrive at the other Next symbol located at the bottom right of the map. In this area there will be the Storage Key in the first room on the left and a Rapid Ring in the adjacent room. Return towards the ship and take the center exit door. In the right room obtain the Chrono Sword in the chest tucked behind a cannon. Equip this sword on best girl Shina to improve her stats for the upcoming boss fight. Exit the room, then go into the room across the way and continue on your path until you run into the T-shaped intersection. If players choose to travel down the right path, there will be a chest containing 1,200 Eni in a secluded room guarded by a strong enemy. Exercise caution if players decide to fight them, this would be a good place to farm. Go back to the T-shaped intersection and enter the rooms with the !. Continue following the only path to re-enter the Shipyard but further down the map. To the left will be a chest containing 1 Thief’s Lance, be sure to equip it on Al to bolster her stats. In the upper right corner will be a door that leads to another area, but players will be pushed back. Its time again to head back to the real world! Travel to Summer Life by selecting the Map icon under Menu. After experiencing the events of the cutscenes that will ensue, lets take control of Shina once more. Travel towards the northern ship to obtain the Red Fang Drive from the chest. Equip it on Lily to boost her stats further. On the left side of the ship will be a golden key shaped item that will fall or raise the waters. Entering the center exit will lead to another area with another ship. There will be a chest on the ship containing 1 Magic Bracelet Level 1. Travel on the path to the left side of the map to find another golden key to get rid of all the water in the area. Exit the room, make a left, and obtain the 2,000 Eni in the chest. Enter the room to nearby, descend the stairs to find 50,000 Eni in a chest. Now its time to head back to the door that was barred by near the save point to obtain the Magic Bracelet Level 5 tucked in the chest. Move back to the door in the North East section to reach the final stretch before the Chapter 2 boss. Enter the right room to pick up the 1 Guard Bracelet Level 2 in the chest. Afterwards, enter the opposite room to obtain the Beast Clan Scarf found in the chest. Finally, head towards the ! to fight the Chapter 2 boss, Muga. Defeating Muga grants 12,000 Exp, 4,200 Eni, and 1 Ultra Ogre Brew. 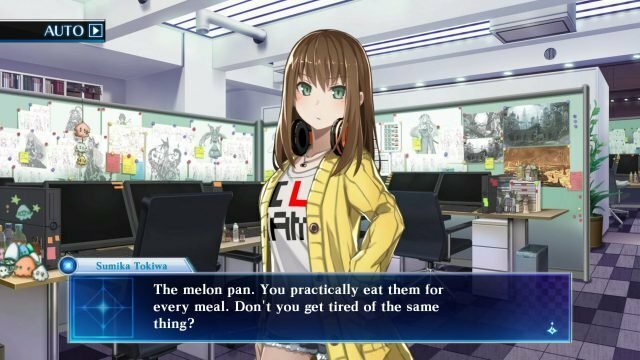 If you enjoyed our guide be sure to find out what we thought of the game in our Death End Re;Quest Review. You can also check out further guides with our Death End Re;Quest Starter Guide & Tips as well as our Death End Re;Quest Trophy Guide to learn how to platinum this game! Be sure to lookout for more Death End Re;Quest content!